There are things in this world that Joe West will not abide: bad clams, people talking over his Artie Shaw records, barmen given to ungenerous pours of the Maker’s Mark, use of the Single-Windsor knot when everyone knows the Double Windsor gets the dame, kids who won’t pull up their damned pants. And that’s but a partial listing. Jon Gruden, you and your nefarious dojo are outta here! 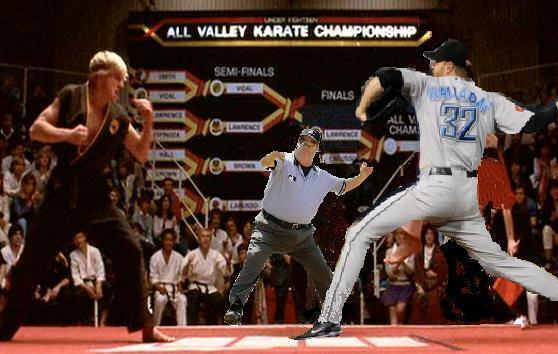 We hoped you liked reading This: A Thing Joe West Will Not Abide by Dayn Perry! SPOILER ALERT. Mr. West called two balks on Johnny’s “sweep the leg” move.